A young man (Phillip Holmes) sent to prison for accidental manslaughter by a sympathetic but by-the-books D.A. 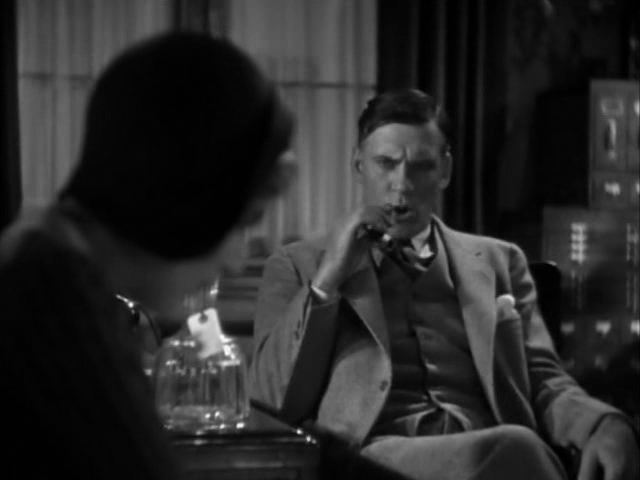 (Walter Huston) becomes a shell of his former self, yet finds renewed reason for living when he falls in love with Huston’s daughter (Constance Cummings) after Huston becomes warden of the prison. 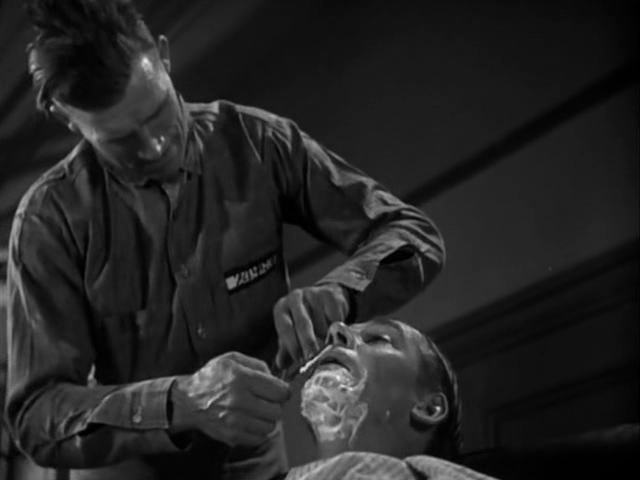 However, Holmes’ loyalty is put to the test when his cellmate (Boris Kalloway) murders the prisoner (Clark Marshall) who squealed on his getaway attempt, and Huston attempts to bully Holmes into confessing what he knows. 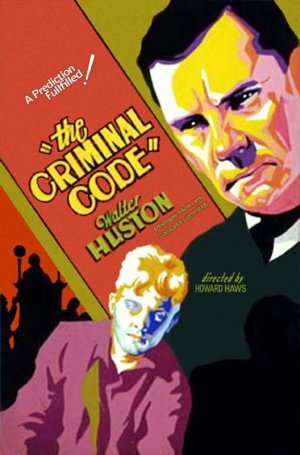 Peary is a big fan of this early Howard Hawks flick (based on “a Broadway play by Martin Falvin”), referring to it as a “powerful prison drama” that “expresses one of [Hawks’] frequent themes: both lawmen and criminals must adhere to their own distinct codes”. He writes that it “shows [the] misery of prisoners (guards are brutal, food is awful, cells are tiny and claustrophobic, grounds are overcrowded) and makes clear their desires” — but numerous other films since then have shown the same conditions to equally numbing effects, and with more realistic representation of prisoners from diverse racial backgrounds. 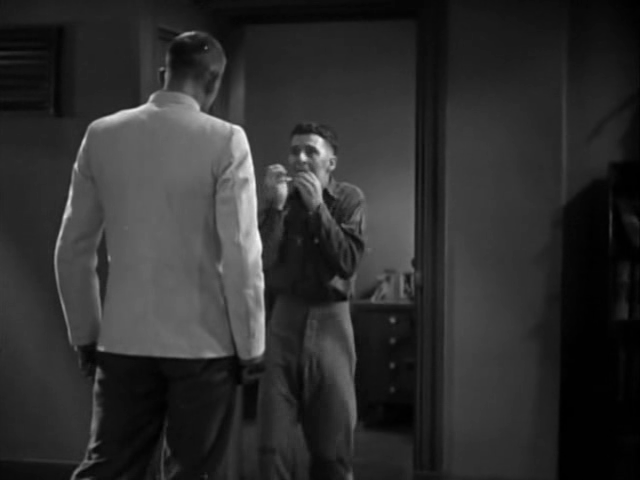 The movie also suffers from overly slow pacing at times (perhaps a function of its status as an early “talkie”). With that said, Peary’s assertion that the “picture is full of fine scenes and striking characters” is most certainly true: James Wong Howe’s cinematography and Hawks’ direction make this a consistently visually atmospheric outing. 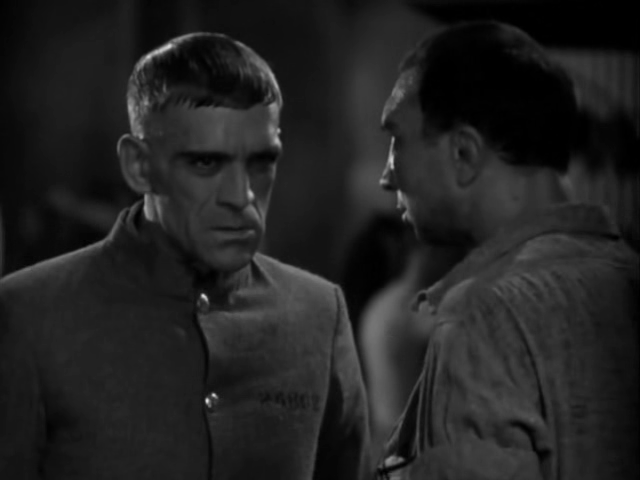 Huston gives a strong central performance in a psychologically complex role, and Boris Karloff “steals the film as Holmes’ slightly wacko cellmate who has ‘an appointment’ with a squealer”. Overall, however, this one is recommended rather than required viewing for film fanatics. No, though it’s certainly recommended for one-time viewing. Named one of the Best Pictures of the Year in Peary’s Alternate Oscars. First viewing – and a contrary viewpoint, I’m afraid; not must-see. I’m more than surprised that Peary has such a strong feeling for this film – esp. since (and esp. for a film directed by Hawks) it’s such a lackluster disappointment. 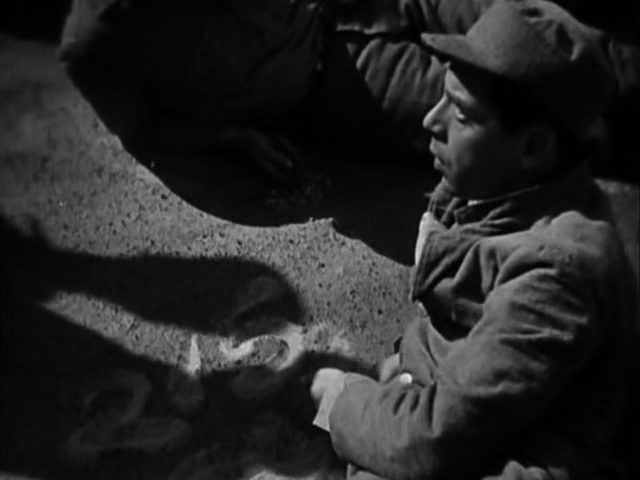 Even factoring in that it’s an early talkie, there are other early talkies that aren’t this dull. I imagine that the idea overall was to show a prison situation in a realistic, non-showy manner but the result is a plodding, episodic account that doesn’t gather much dramatic steam. One can lay most of the blame with the script – there’s nothing that’s all that unique about it and a good deal of the dialogue is hackneyed. 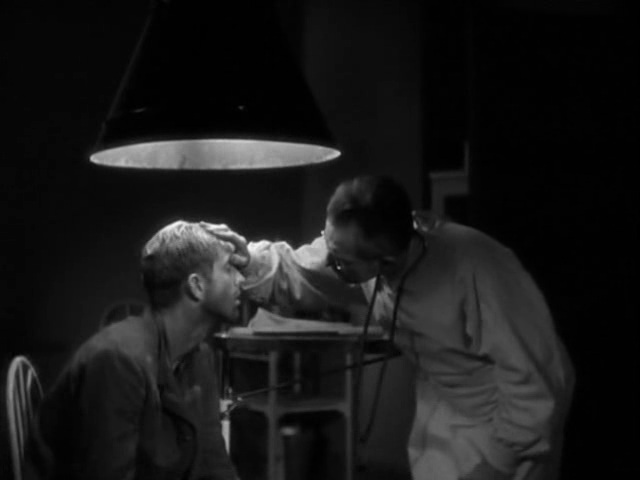 So occasionally Hawks (as directors sometimes do with weaker material to work with) over-compensates by – for example… pushing Huston to over-act his way (something I don’t think I’ve ever seen Huston do) through his major interrogation scene. The only time the film comes to real life is in its penultimate scene, when the script’s only real conflict comes to a boil. Until then, it’s a long, somber haul.